Intel is bent on finding a new partner to take Nokia’s place to distribute the MeeGo operating system for smartphones and tablets, Intel CEO Paul Otellini told analysts in London this morning. One problem: there’s almost nobody left. MeeGo was created in early 2010 when Intel merged its open-source Moblin with Nokia’s Maemo. The deal seemed to make sense for both companies at the time: Nokia needed a replacement for its ageing Symbian platform and got to capitalise on the work Intel had done making Moblin work on a wide range of devices. Intel got a distribution partner — the world’s largest phone manufacturer. 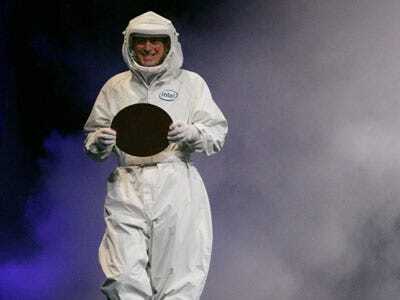 But now that Nokia has punted on MeeGo and chosen Microsoft’s Windows Phone 7, Intel is seeking a new partner. But the battle lines in the smartphone and tablet platform wars have already been drawn. Who could Intel possibly be thinking of? RIM and Apple are committed to own platforms. So is HP, which doesn’t even make the list. Every one of these other companies has already bet big on Android for smartphones, and a lot of them — Motorola in particular — are making a big bet on Android for tablets as well. None of them have a clear need for yet another Linux-based open source platform that runs on low-powered devices. Samsung also has its own open-source platform, Bada. So who else could Intel possibly be thinking of? Dell? They’re betting on Android as well. Maybe Intel could find some other PC maker who wants to make a new run at smartphones, like Lenovo, Acer, or Asus. But it’s hard to imagine that these companies wouldn’t go with the huge ecosystem already created around Android.